The rubbers of a table tennis blade are an essential and important part of a bat. This is because they are not only attached to the blade (which is -via the handle- also connected to the player), but also in contact with the ball. Rubbers may exhibit a vast variety of different properties. This strongly influences the characteristics of the ball behavior, e.g. regarding speed, feedback, rotation, and so on. The leading brands of TT rubbers provide an immense offer. In order to keep an overview, one has to read through catalogs and forums for hours, and one has to acquire very much knowledge. 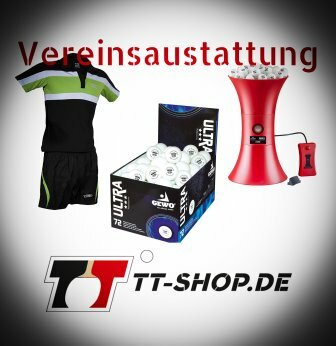 TT-SHOP.COM offers the leading brands and their rubbers in clear and lucid tables, plus the most important manufacturer specifications regarding product properties. 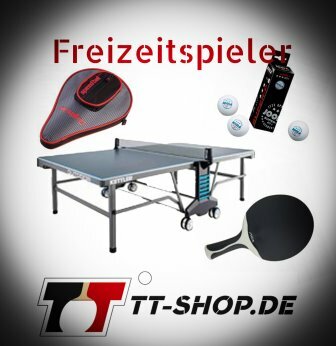 In order to find yourself a suitable TT rubber, please consider these tables, but also our tests and product descriptions. Basically, there are two different structures regarding rubbers: Pimples in(wards) and pimples out(wards). Pimples are small and single elevations of the rubber material, something like protrusions. According to regulations, there must be 10 to 30 pimples per square centimeter. Table tennis rubbers with pimples in are also called backside. Those are the most frequently used forms of rubbers (see figure 1). Pimples in means that the pimples are glued in an inward way, meaning in direction to the sponge support. The sponge support in turn is glued onto the blade. The even and smooth surface of the rubber, hence, is directed outward and makes the contact with the ball. Figure 1: Depiction of a table tennis rubber with pimples in (source: Wikipedia). natural rubber (caoutchouc): The rubbers are very fast and less catchy. This means that the ball exhibits less spin since it slips more on the rubber than it sticks. However, balls may be served at high(er) speeds. synthetic rubber (caoutchouc): The rubbers are not as fast, but very sticky. This means that the balls can be served with lots of spin and rotation. Regarding spin, it is also of high relevance how deep the ball penetrates into the rubber at ball contact. For this, the thickness of the sponge support is decisive. The thicker the sponge, the deeper the penetration of the ball and the more rotation (spin) of the ball. Also, a thicker sponge corresponds to a higher speed of the ball after contact. However, maximal sponge thickness may not exceed 2.5 mm. As a rule: Thick sponge supports (or sponges) are those larger than 1.7 mm. They are suitable for spinny attacks and blocks. Thin sponges (1 - 1.5 mm) are suitable for backspin defenses. Rubbers for an offensive gaming style are having a thick, fast sponge; and defensive rubbers exhibit a thinner sponge. Furthermore, one also classifies into anti-topspin-rubbers: Those provide a surface which is quite "slick" and little catchy. Its pimples are inward, very short, and of large diameter. The sponge is very soft, reducing the speed of incoming balls. Those table tennis bats are used for the defense (e.g. via blocks, backspin) of attacking strokes. The construction of these bats goes back to Toni Hold. Later, he cooperated with Joola, resulting in an industrial production of those bats. Pimples out are quite the opposite: The pimples are now directed outwards, toward the ball. The even and smooth surface is now glued onto the sponge support (figure 2). Basically, pimples are divided into 3 categories: Short (below 0.9 mm of length), medium (0.9 - 1.3 mm), and long pimples (1.3 - 1.8 mm). Short pimples out are often combined with a rubber which is made of hard natural rubber (hence, little spin), whereas the supporting material (sponge) is very thick. The cone of the pimples is quite large, so the form of the pimples is not like a straight cylinder. The sponge is commonly very hard and tight. 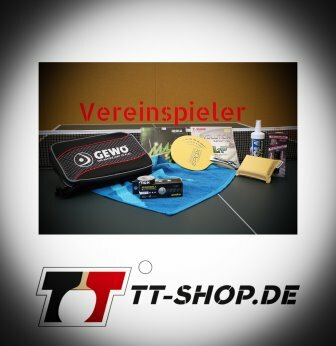 All these properties result in a table tennis bat which increases the speed of the balls and reduces the contact time of the ball when playing hard shots. Hence, rubbers with short pimples out are very suitable for players, who prefer fast counters and forego topspins. Please consider that when using such bats, balls exhibit a less curved trajectory, resulting in longer balls which could go down beyond the table. This is due to the lack of spin when using such rubbers. This has to be considered! Long pimples out are characterized by longer pimples, and a rubber which is made of a softer and more flexible rubber. So the whole setting is quite flexible and less stable resulting in an improved and more variable grip. This further leads to a higher degree of spin (more or less unpredictable!). Balls are of a quite defensive character, with relatively low speed. The carrier layer is thin and the pimples are (almost) without a cone. The sponge is also thin and soft, whereas there are also versions with no sponge at all. The long pimples used are available in a smooth and slick version (little grip, there is a so called spin return of incoming balls), but also in a catchy version with more grip. After ball contact, the latter keeps the forward spin of your opponent´s ball. In addition, there are also classical pimples (figure 3): Below the carrier layer of the rubber, there is just a textile fabric glued. Therefore, no sponge is present in these bats. As a consequence, there are less possibilities to vary, especially regarding spin, for example. Please note that such settings are not permitted, since there is no official approval by the International Table Tennis Federation (ITTF). However, occasionally, you may still find such "exotics".